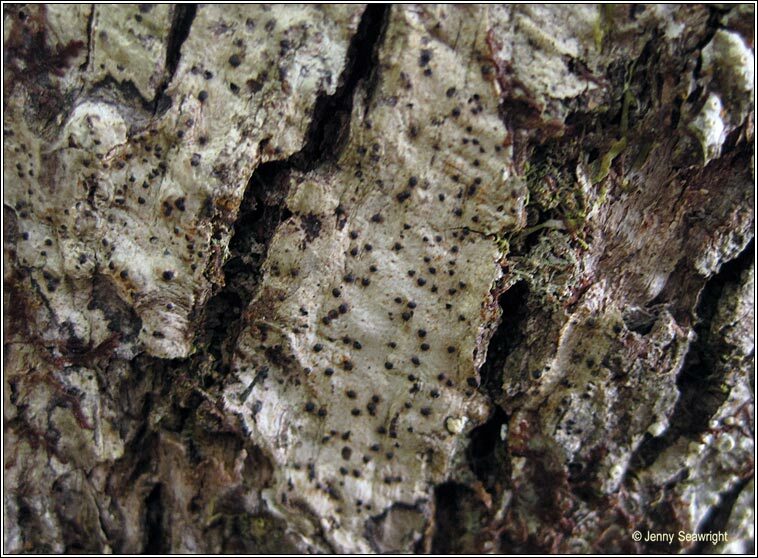 White or pale cream thallus without pseudocyphellae and usually without a prothallus. 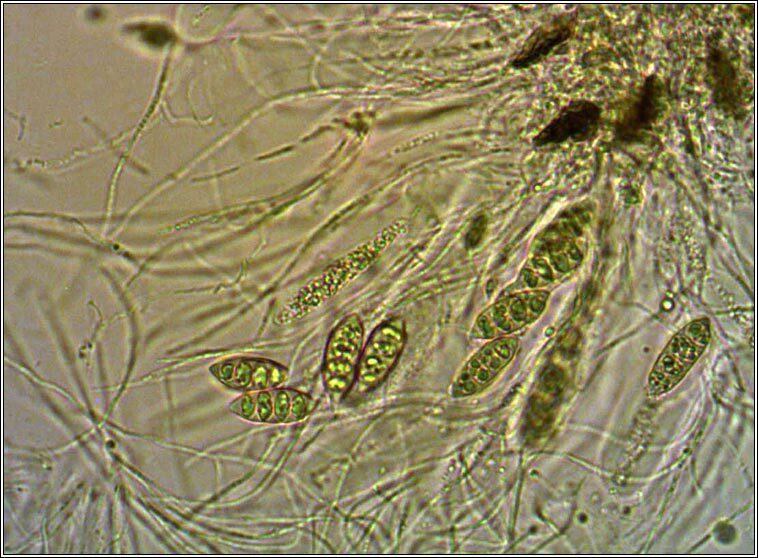 Frequently with +/- globose, black pycnidia forming lines across the thallus. 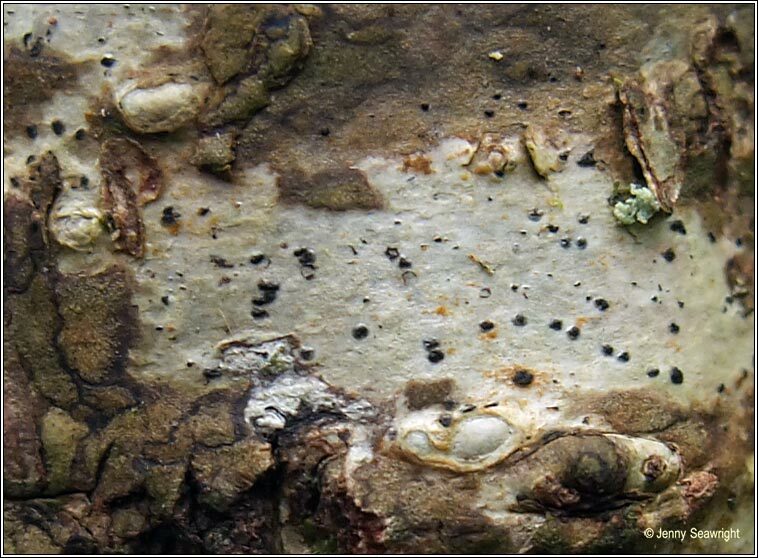 Flattened perithecia 0.2-0.3mm diam. 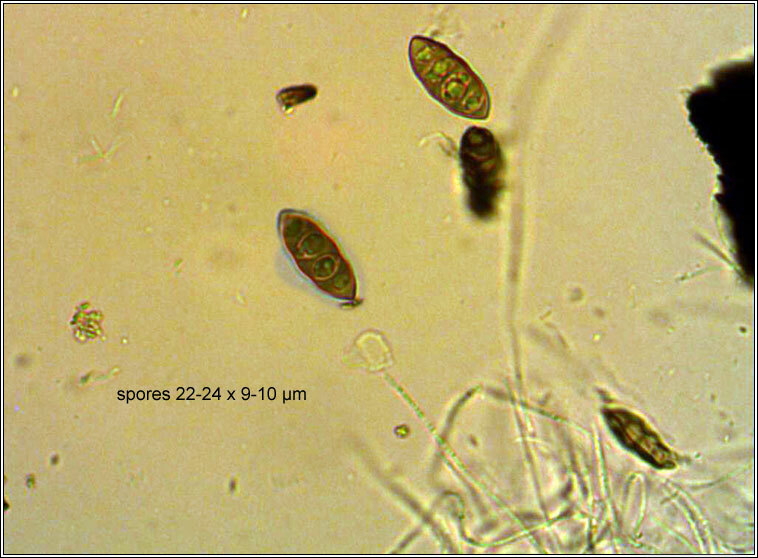 Spores 3-septate, (14-)17-22(-26) x (7-)8-9(-11) µm. Microscope photographs below. 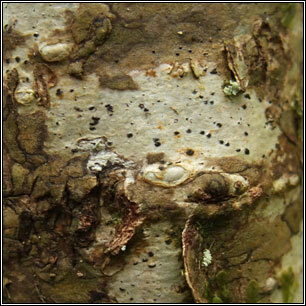 Rare, a western oceanic species occuring on smooth-barked trees, especially hazel.